Make 9″ (23 cm) through 14″ (36 cm) circulars with our TWIST SHORTIES! 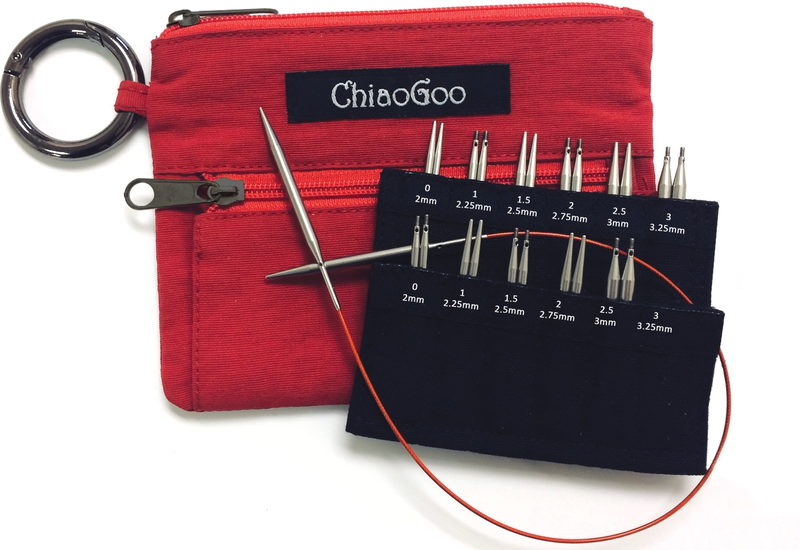 The most recent addition to our TWIST interchangeable system this set includes 12 pairs of 2″ & 3″ (5cm & 8cm) solid, surgical stainless steel tips US0 (2mm) – US3 (3.25mm) in a secure tip sleeve, three MINI diameter red cables (5″/13cm, 6″/15cm & 8″/20cm), end stoppers, tightening keys, connectors, stitch markers and a mini needle gauge all in a red, pocket-sized nylon fabric pouch. 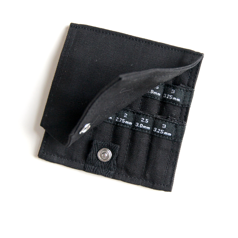 The tips have a tightening hole to ensure you get a secure connection.